According to TalkSport, Barcelona are considering activating their buy-back clause for Everton winger Gerard Deulofeu. 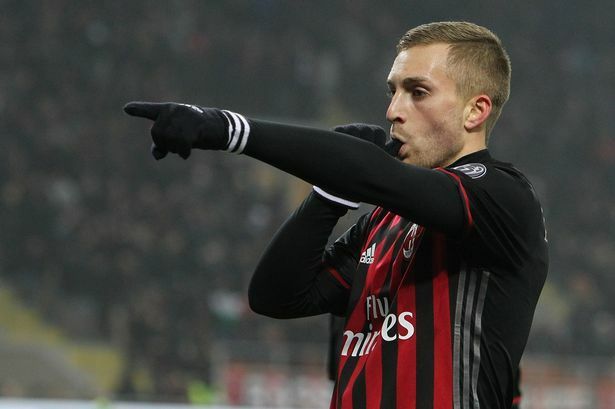 The Spaniard is currently thriving in life at AC Milan; he was loaned to the Serie A club by Everton in the January transfer window, after Ronald Koeman grew frustrated at his lack of consistency. His form in Italy has alerted officials at Barcelona and it is reported that they will strongly consider bringing him back to the Nou Camp. The beguiling forward has an assist and a goal in his last three games, with an average match rating of 7.07, according to stats-based website WhoScored. The Spanish giants are able to bring back their academy product for just £6 million in any summer transfer window. With things not going so well at the Catalan club, officials feel they need new, young blood to revive their ageing squad. The 22 year-old, whilst not a world-beater just yet, clearly has the potential to play his part in a Barcelona rebuilding process – the Spanish press are calling for such a process following Luis Enrique’s side’s recent disappointing form.